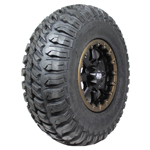 This new extreme duty STI radial tire is built to confidently handle the ever larger, faster and heavier UTVs as well as a solid choice for many ATV applications. It's innovative dual sport radial design gives riders and racers the ultimate combination of steering and traction. 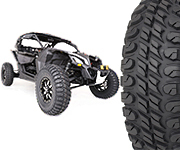 The new STI Chicane tire works great on harsh desert and baja-terrains with a unique split-knob non-directional tread design. Chicane RX os also DOT marked and ready to hit the road for powerful performance and high mileage. The 8 ply carcass offers a perfect mix of durability, smooth ride, and reduced weight. 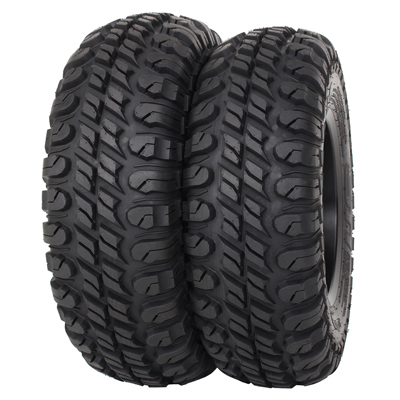 The deep rim guard and reinforced bead/lower sidewall allow for lower PSI operation while still avoiding flats.